Officials of the Axness Technologies Private Limited declared Axness Walkin Drive to employ candidates for Software Developer Job Role. Likewise, they have said that individuals with experience up to one year in the relative field can attend Axness Walkin Drive 2018. It is noticed that formally the Axness Walkin in Hyderabad Dates are scheduled from 1st – 8th September 2018. The job aspirants who had finished their graduation of B.Tech, B.E, M.Tech, MCA can participate in the walkin. Candidates can use this excellent opportunity and make a new beginning with the Axness Walkin Drive. We have provided the most accurate details regarding the Axness Walkin in the below sections of this article. If you need to crack this Axness Walkin Drive, you should start preparation. You can check all the Placement Papers which are available on our homepage. 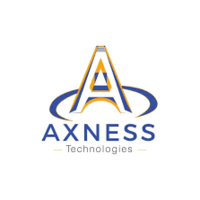 Candidates need to check all the section to get clarification about Axness Technologies Private Limited Walkin. And, have a look at the Interview Questions arranged already on our homepage. Job aspirants who are willing to get through Axness Jobs Hyderabad can check the below portions of this article. To get further details regarding the Walkins bookmark our site and get all the fresh updates regarding the IT Software Jobs. Axness is an IT Solutions Provider Company managing HR Services, Software Development, Technical Support and IT Trainings, we have been giving significant arrangements that are basic at their center yet advanced in their tendency. We comprehend our customer’s needs, show a procedure, that guarantees achievement at first and for years to come. To get complete details related to the Axness Walkin Drive aspirants can go through this article thoroughly. And also for more details, the people can bookmark our web portal FreshersNow. We will give you the most accurate data about all other walkins in India, Placement Papers etc.